In short, we are trying to change the way our council is run. Dealing with Sheffield City Council can be difficult and often feel like you are hitting a series of brick walls. A lot of the problems seem to be down to the system the council operates on, called ‘The Strong Leader model.’ Under this system, just 9 out of 84 councillors have the power and responsibility to make nearly all the major decisions on behalf of over half a million people. Sheffield is full of local talent that is being wasted by the city council which barely uses any goodwill of the people. The current system makes it very hard to cooperate with the council in improving our city because of the very top-down nature of it. Just imagine how much better our city could be if it was easier to approach the council with different ideas! We want to change the Strong leader model to an updated version of the committee system, where all 84 councillors – your councillor including – have more input into the decisions that affect us all. 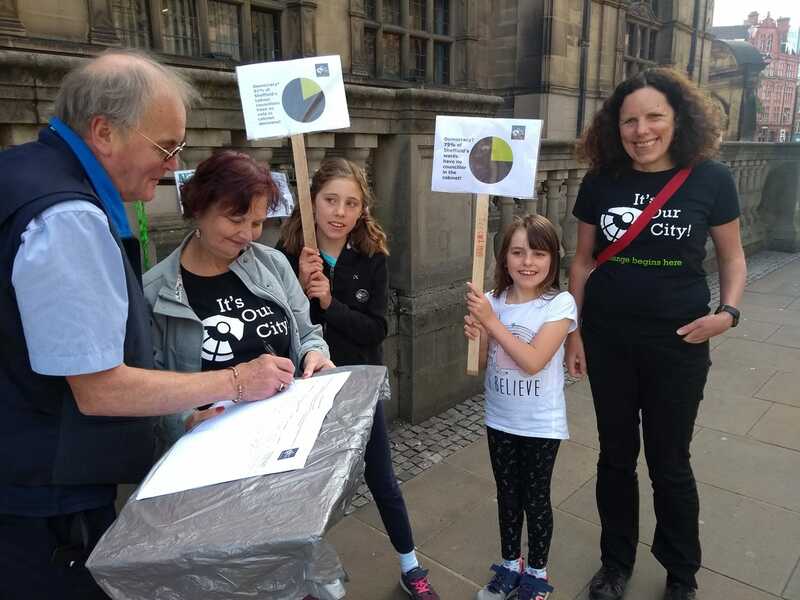 To do this, we need just over 20,000 signatures for our petition calling upon the council to let the people of Sheffield decide whether they want to keep the current system or change it. If you are a registered voter in Sheffield and want to get the change going in our city – please click the button below the video.